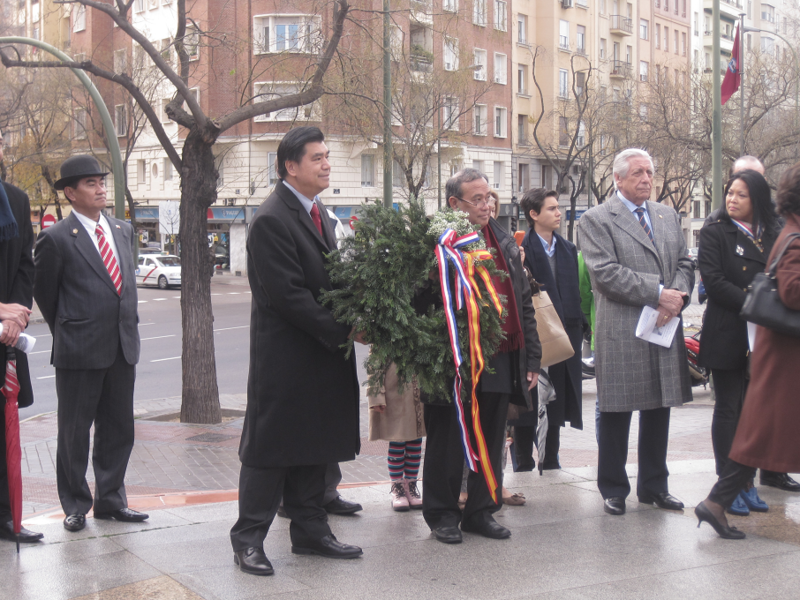 28 December 2014 – The Philippine Embassy in Madrid led the commemoration of the 118th anniversary of the martyrdom of Dr. Jose P. Rizal with a flower offering at the Rizal Monument in Avenida de Filipinas in Madrid on 28 December 2014. 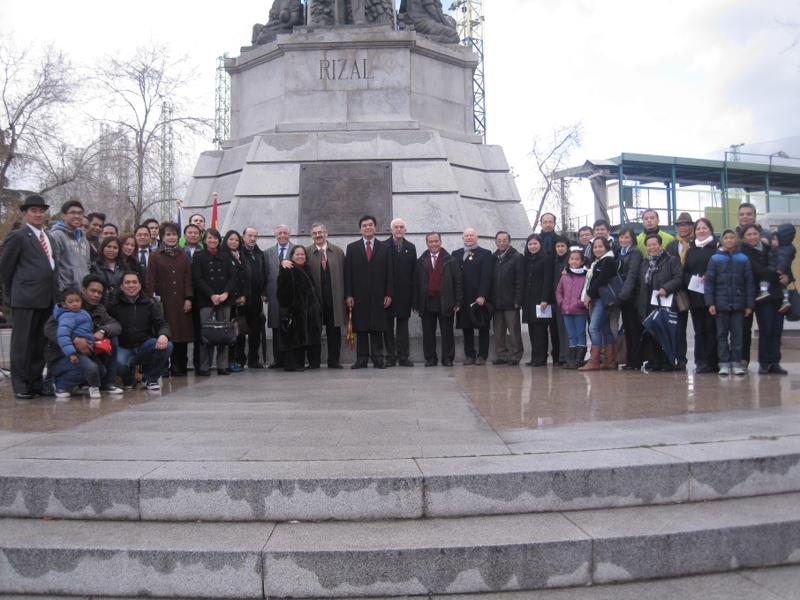 The solemn and brief event was done in collaboration with the Knights of Rizal (KOR) – La Solidaridad Chapter, Madrid. 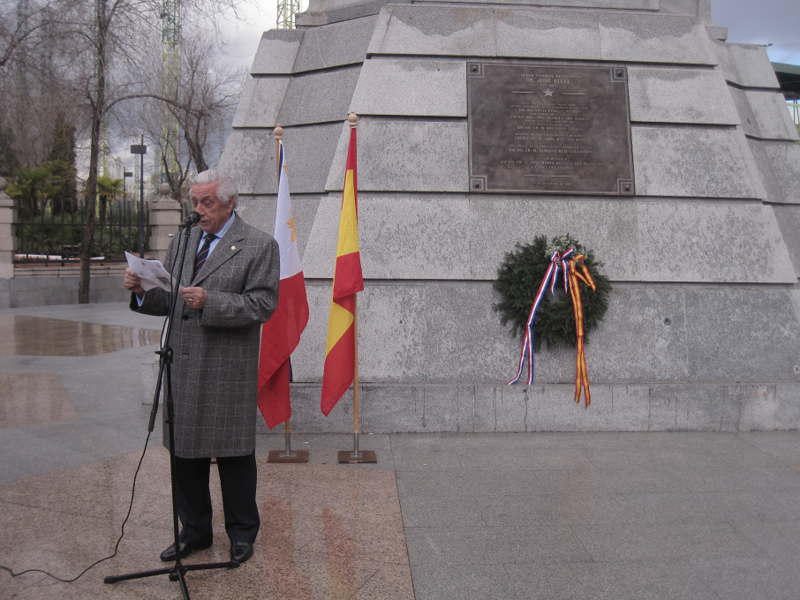 The commemoration began with the singing of the Philippine National Anthem, followed by the Spanish National Anthem. 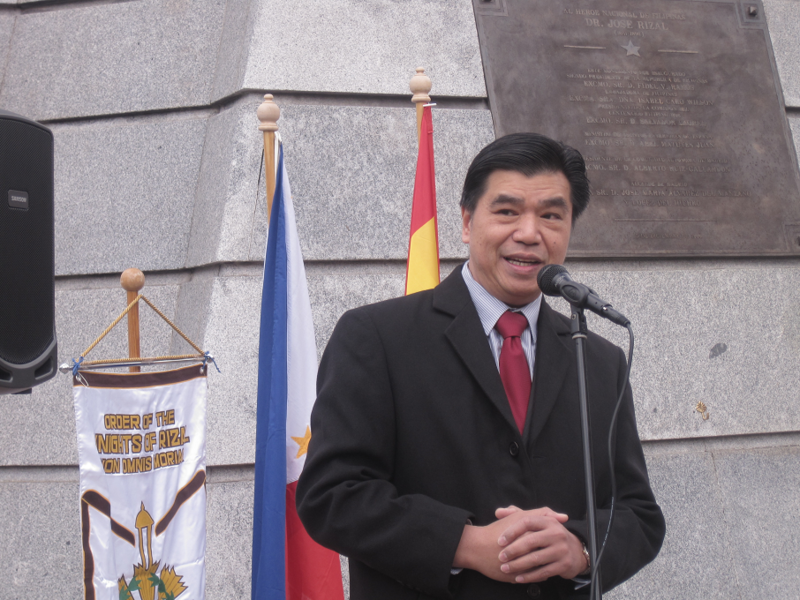 The Philippine Embassy´s Chargé d´Affaires, a.i., Consul General Emmanuel R. Fernandez, welcomed the Filipino and Spanish community attending the program. In his message, Consul General Fernandez talked about love and sacrifice as intertwined concepts, both of which were embodied by Dr. Jose Rizal. He also appealed to migrant workers, our modern day heroes, to demonstrate their love of country by making the additional sacrifice of time and effort to register as Overseas Absentee Voters for the 2016 national elections. The program ended with an interpretative reading by Mr. Elías Rodriguez of the Mi Último Adios, the last poem written by Dr. Rizal.